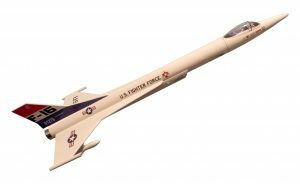 In the late 1970s, Centuri released a line of fighter jet inspired model rocket kits including the F-16 Fighter. Drawing on Centuri’s classic design, Odd’l Rockets has released its own F-16 kit. The Odd’l Rockets F-16 features laser-cut parts, waterslide decals, a stronger body tube, and excellent instructions. But, it is the vacuum formed plastic canopy that sets the F-16 apart from other kits. The F-16 is now available at jonrocket.com. This entry was posted in New Products and tagged F-16, model rocket kits, Odd'l Rockets by Roger. Bookmark the permalink.